Ok, first let’s get one thing clear. This is an educational project for me learning some computer vision algorithms (I want to make an insect identification system to protect a bee hive, – but that is for much later article) and the game Elite Dangerous provided only interesting guinea pig here to test some principles. This was never intended as a game cheat/bot or anything like that, although in the last chapter I will give my thoughts on AI becoming a thing playing games using undetectable external “human loops” (e.g. looking at monitor and pushing keyboard) that no anti-cheat will ever catch, but that is way beyond my motivation as I personally like Elite as it is and definitely do not want to destroy its internal mechanics by creating a farming/trading bot this way. That is also the reason why code of my experiments is not disclosed. If I do not figure out some clever way how to share this without some script-kiddies turning this experiment into a cheat I never will share this code. If you are here looking for a game cheat, you will not get it. If you are here to learn how to program a cheat for yourself then kudos to you as I am trying to elaborate in the conclusion parts below, this is not really preventable. But it is your responsibility and try to think hard if your are not destroying the very game you like (but you might learn some skills for your carrier in the process). 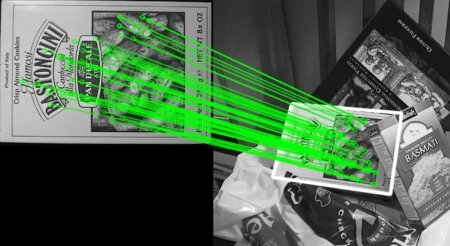 So now that this is said, lets look at the interesting challenges of using computer vision (provided by OpenCV library) to analyze flight in Elite Dangerous. Simple, combination of two things, first I like this game and I am familiar with it and secondly this is a game that has a 3D rendered perspective GUI that shifts position, size and rotation during a flight via simulated inertial forces. This makes it a good experiments platform for trying to create for example algorithmes that a physical humanoid robot would face trying to drive a car. Comparing that to a flat 2D GUI, like some old games had, this introduces challenges that I wanted to focus one. E.g. not simply reading the specific instrument, but actually finding that instrument in real time in some 3D space and adjust the reading of that instrument via 3D perspective transformations. 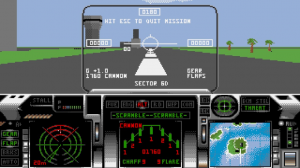 Have a look below on the difference between old 1991 game called “F29 Retaliator”, that GUI is simple to find and analyze, worst case you can write per-pixel classification for that. Nothing like Elite has or what you as human experiences when driving a car. And even worse the Elite’s instruments are partly transparent, which makes it super hard for even the more advanced algorithms to work with because they can be literally blinded by in-game objects. E.g. 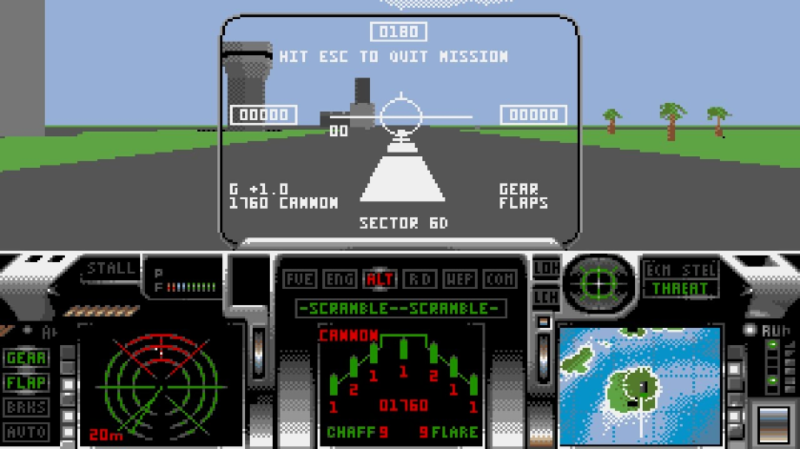 the navigation target pointer appearing behind a sun, or even cockpit reflections when you are close to a sun literally destroy some classification algorithms (Keypoint family) ability to locate that instrument on the screen. 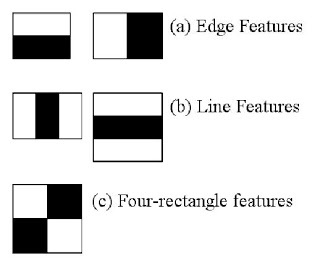 Example below, in that situation nothing can read the top-left panel, not even humans. So despite all this, there is “something” possible and we will investigate this together below, just keep in mind all that we do here has a “Statistical” success rate. Meaning no classification presented here will work 100% and that is why creating a playing bot is also going to have a statistical results. As stated before, I wanted to learn CV (computer vision), and after some research I gravited to OpenCV (https://opencv.org/) and because I am lazy when prototyping, to the python wrapper around it (OpenCV-python-Tutorials-page). The python wrapper is using C++ library in the background so it is not such a bad performance as you would expect if this was all vanilla python. So you get the easy rapid prototyping with python CLI, but calling a much more powerful C++ in the background. 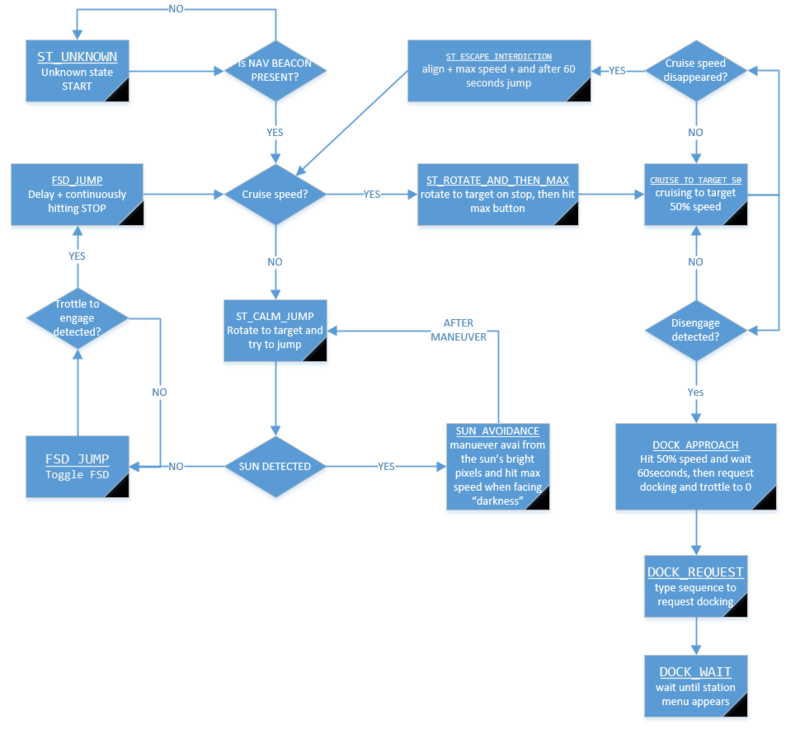 Secondly, I do not want to make this article to a detailed OpenCV tutorial, because OpenCV already has absolutely great tutorials, this will just skim the surface by showing main types of algorithms available, so that later we can check how I used them in Elite. This is not really any special algorithm, only a trick how to filter colors that really interest you to make your life easier later in analytics. Here the point is to convert from RGB (red-green-blue) to something called HSV (Hue-Saturation-Value). With image/video in this color representation, it is simple to find those colors (in specific intensity!) that are interesting for you, for our example, I have helped my system here by turning the cockpit GUI into green and then simply filtering it in a series of try-and-error by playing with a few sliders as shown here below. This is basically taking an small image as a target, and trying to find it in a larger image by the basic principle of moving the template image over the big image pixel by pixel and compute how much the color palette matches. This is computing intensive, and it can make a lot of false positives, especially if the template image is NOT present, because this algorithm is finding statistically best match, there will always be a best match, even if it is a nonsense. 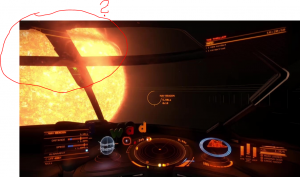 For Elite, this can be applied for finding the exact place where a template image is located, IF you know that the image is definitelly present, for example the NAV compass. The NAV compass has a specific shape that is not changing very much, so we can find it. To make it a bit simpler, we can limit the space in which the algorithm should look for it (this saves a lot of CPU power). Additionally, if we find the NAV compass, we can cut it away and via HSV filtering, filter the blue dot to determine where it is (simple looking for white color in sectors). Here is result where on live feed we can find the NAV compass exact position, extract it, mask if via HSV and identify if where it is pointing (LEFT vs RIGHT, UP vs DOWN). This is a cool trick will be much useful later. The previous process has a biggest disadvantage that that it cannot detect or the presence or absence of the said template, this is where keypoint matching can help. This process takes a template, and tries to identify all the “corners” of the template. So this can detect a template image in bigger image, and also be rotation invariant (Ergo the picture can be rotated) and is partially robust against overshadowing. Keypoint Matching – Great for detecting based on template that is “interesting enough” to match. 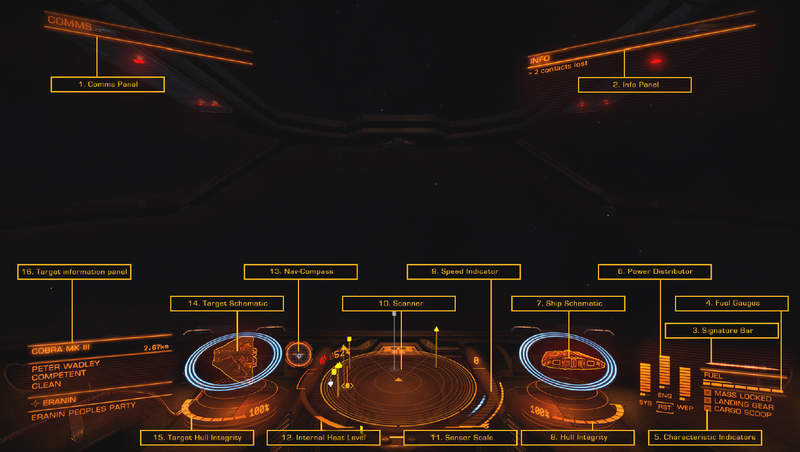 For Elite dangerous, this is needed to actually identify different types of messages and objects presence on the screen, to give one of the more simple examples, Here is a video of these algorithms detecting nav beacon (the thing in the center where you want to go) and message to “throttle up” comparing the video to a template. This is the only neural network image identification that you need to pre-train to find the object you are looking for, in my case, I was experimenting with this family of algorithms in the most complex task I could think of, and that is leaving the station. Which means finding the door out. Now this is much more complex that it sounds. NOTE to help your own training: And it is extra hard for you as the creator because you need to feed the system with ideally thousands of pictures that contain the object you are looking for. The system will try to train itself based on these picture. And since OpenCV is an open-source with it’s typical “stability” of code and tutorials, I spend much time even learning the tools and picture format/types that it expected, so if you want to follow, I really expect you use this preparation scripts and process from mrnugged on github. This will save you hours! Now in Elite, the results of a simple haar was not really great, but maybe because I only given the trainer several dozens of images and not tousands (come on, there is not enough elite dangerous pictures in google images like that). So I needed to combine it with something else to focus the haar more on the object itself, so I tried combining it with the template matching, together with some rotational and scaling brute-force variations, while haar cascade would then only say yes/no as a last clasification decision at the end. This is a different family again, this time we are not identifying something, but keeping a track (e.g. position on screen) of an object that was previously identified. 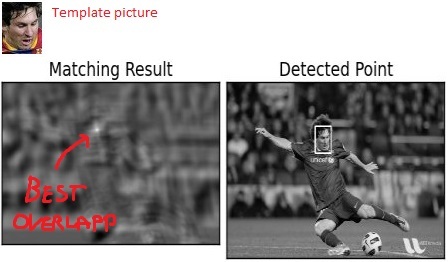 Again applying the OpenCV family of algorithms, this allows us to gain some framerate as you do not need to constantly identify objects (like in the above Haar classifier it took several seconds), you just keep track of object identified once. There are several algorithms present, some are better but cannot handle scale changes or rotation, some are worse, but they can actually allow the object to “come closer” to the camera and scale the frame of reference. It takes time to experiment and think about your specific use case, but for our small Elite analysis, I am extending the task of finding the door from above, to simply tracking it. So here is a simple example where I identified the doors manually with my mouse in the screenshot, then the code was tracking that door in a live video I made. And it was relatively successful (e.g. it tracks it, but imaging an autopilot going for the “center” of the box, on many times the box center is actually on a wall!! So not yet flight ready). Survive interdiction, right now this autopilot if interdicted will try to return to path in full speed and engage FSD, but that is not really enough, no tactical use of countermeasures, and I tried creating a procedure to win the interdiction minigame, but that is not guaranteed at all. Not hit dangerous stellar objects, I have written a procedure to avoid a sun (which was easy) but there are other nuance problems like hitting a black hole or a planet that is hidden in a shadow, or planets rings. These are hard to detect visually as they are not indicated in the hud in a simple way and are in many forms and shapes. Sooooo … where can we apply this in our Elite Dangerous with these limits? Well simple, this can still be a relatively simple autopilot to help you make a few jumps to a destination and if combined with an in-game docking computer it can request docking at the very end so you end landed. After a long time I decided that we will do this part as a video. The below is a live demonstration of a full flight made of two FSD jumps, super-cruise and station approach. To call this a proper autopilot, there is one last aspect missing… leaving a station. Despite some nice examples I have given above in the specific algorithms sections, this part of my autopilot remains very buggy, and therefore deadly. Classification by shape and color was successful maybe in 60%/70%, the remaining cases it either decided that another ships engine (because they often have the same color and from some angles also shape ) is the exit door or in some station types some building was a better candidate. Also for bigger ships (I am flying Imperial Cutter), there was just no way how to avoid collisions with other traffic inside the doors. If someone manages to solve this part, I would be happy if they share with me in the comments. For now my conclusion is that this is definitely also possible, but would require a much more robust classification and tracking system, but I assume if someone would really put together thousands of posivite/negative images of station doors, the neural net training would be able to crack this problem with higher success rate …. …then again I do not like grinding in any game (…yeah, coming from a guy who owns Imperial Cutter in Elite, right…) as I do believe that is just lazyness from developers to avoid creating a proper story/tournament/sandbox system and if CV + AI technologies kill these games because it will become too easy to get an AI-bot to play the grinding parts instead of a player .. we might see a future where grinding games will not be developed anymore … who knows. Feel free to let me know in the comments what you think about the AI vs grinding in games … and please avoid going into the traditional cheats/bots topic (e.g. CS:GO wall-hacks, or game money trainers) as that is really a completely different topic and actually cheats of the game itself via internal memory of a running game client is kind of lame and doesn’t deserve to be validated by even discussing it. Thanks! I think you can optimized of 30-50% calculation, with , gravidar, info target and ridodant alert in thread(with slow sleep) and add high sleep in thread not importants. 5.Not hit dangerous stellar objects, I have written a procedure to avoid a sun (which was easy) but there are other nuance problems like hitting a black hole or a planet that is hidden in a shadow, or planets rings. These are hard to detect visually as they are not indicated in the hud in a simple way and are in many forms and shapes. For not impact see "alert impact" in INFO in red is easy. However in real life and in this case is impossibile training AI in "real life", AI is slow, I think that can programmer partially AI for management partialy calculation direction OR that create AI for learn by you, in this case 2.3 weeks(~200 hours) and be good what 2/3 of you. Obsiusly if your language not permit sleep or multi threading I retire previus say. Thanks for feedback, however I have already solved avoiding dangerous objects with a simple trick of calculating average brightness of center screen as a way to detect stars. If that happens I order the ship to to go 90 degree up for a few seconds and retry returning to the original course afterwards. Good enoug. The bigger problem I am facing now is “un-docking computer” that can disconnect from a station and fly out the station main door. Finding the door and avoiding other ships is a major problem. If you find some algorithm for this, let me know. For now I am trying to train a deep learning AI to locate the door, then using motion tracker to fly to it. The biggest issue is that if the identification fails, e.g. you identify internal hangar object or building as the door … you are dead because motion tracker will not realize this mistake. So I need 99.9% reliable door identification from inside. Firstly, once you have a median height established, the grill will always be at the same location, thought it will grow as you get near it. There are 2 lights, red and green on the centre line. Again centre these and use them as the rotation decider. The green side is also the safe side, albeit only safest not nec. free of objects. The UI rose on the dash shows all ships in your vicinity. Use this to check if the ship is right in front or/on the same level. There is also another way and that is to perceive your ship as a known rectangular object, existing another rectangular object which rotates. Your job is to watch the rotation and rotate your own rectangle to match. Heya Peter would you be interested in talking about this with us on Lave Radio? Honestly this is such an early prototype that I do not want to go yet beyond this article with it. Maybe one day when I at least manage to safely finish the “un-docking autopilot” part that can get out of the station door without crashing my cutter ~40% of the time I might reconsider. For now feel free to use any of the materials here in your site if you wish, or I can provide some raw footage. I’d actually love to have you on the show to talk about the work you’ve done here even as it currently stands. We’d also talk about the moral implications which your obviously aware of and maybe things that Frontier can do to counter it. Cool project. I had kind of assumed that piloting would require a screen grab. A long processing time and then a response. But you’re hitting 10-14 FPS so that’s way cool. I have an application for Open CV and Elite that you might be able to give some advice. I need to capture the traffic report every half hour. Voice Attack can do most of that as a simple macro, and that’s fine, but the Traffic Report moves up and down in the menus. So what I want is a routine that can click down, and scan for when the word “traffic” is highlighted. It seems like it should be do-able but I’m trying to estimate how much of a learning curve I would have and how good Open CV is as an Optical Character Reader in the context of Elite Dangerous. Happy to chat in public if you prefer. Ok, if you need to “read” the GUI, like missions list or market, I think you need to go for the same family of algorithms that are used in OpenCV for reading text off license plates and similar, and there is a lot of examples out there for that with OpenCV. I would personally recommend pyimagesearch.com and the tutorials that they sell* there for OpenCV + python, I haven’t done this part myself but I assume this license plates example should be easily searchable using google and then it is up to you to adopt for full screen reading all the menu texts. *Yes, they sell OpenCV tutorials/examples book there, so this is not a sponsored link or anything, but I used them and I do appreciate someone putting this together in a readable way. Since I know first hand how hard it is to put together a learning material that makes sense end-to-end. Your work here is much appreciated. 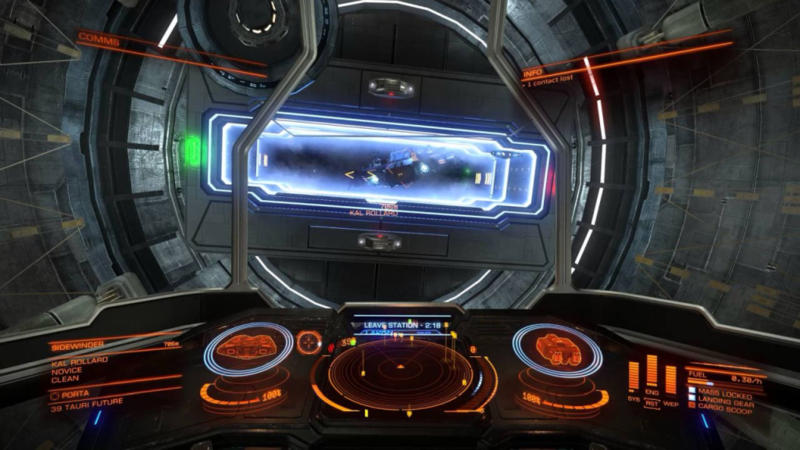 It has entirely changed the nature of the debate about what is possible in Elite Dangerous. A tutorial like this so clearly laid out and step by step with actual solutions has silenced the doubters. And keeping the code under wraps is also appreciated. Thanks for your leads, I’ll let you know how my project progesses once I get leave from work. Great work, read it with great interest. I’m on a similar project, currently doing some operations while docked. 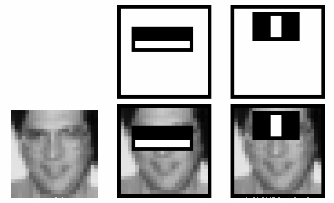 My method for object recognition uses GDI functions, works not too well because of the blurry screen objects. So I’m redesigning it using OpenCV. GetWindowDC(NULL) GetWindowRect() BitBlt() and friends. the result is a black screen. Works well with X-Plane or Notepad. Is there a OpenGV method to capture a desktop window? Just rename the file to PY extension to make it executable as python script, if will find a window in windows with specific name (using elite as example) and show a clone of that window in real time. Yep, I’m living in the C/C++ world, quite a while already, Unix, Linux and windows. As I’m, collecting progamming languages 🙂 I very likely will dive into python to check what’s going on. Does the python version of screen grabbing work with window being covered? The python code actually doesn’t work when you cover the window with something else as it is essentially taking any pixels in the X,Y coordinates of the window found via windows window manager interface. But I never considered this a problem because for the game control (pushing directX keyboard inputs) you need the target window focused, which usually also means it will be on top of everything. Ah, ok, so its the same as my c-version. I’m just wondering whats the trick, because with other openGL apps like X-Plane etc. capturings works well with target not in foreground. You can get the window handle of your choosing using standard windows findwindow functions, then get device context as normal. Should not matter then whether your window is in foreground or not. Where to connect to exchange notes? I would love something like this. Set course for Colonia and click “go”. Then read a book or watch a movie and kinda baby sit to make sure no emergencies come up. There would be no real “cheat” involved in this. No systems scanned. No free money. Just jump, scoop, jump, hundreds of times. I mean, surely by the timeline of the game such technology would be invented for such long haul travel. And the annoyance of pointing the nose of the ship at a station and cruising having to sit the whole 10-15 minutes on the far ones babysitting it to make sure it doesn’t drift? How low-tech is this high tech world? LOL. But feel free to follow me with OpenCV, the learning experience is fun as well.